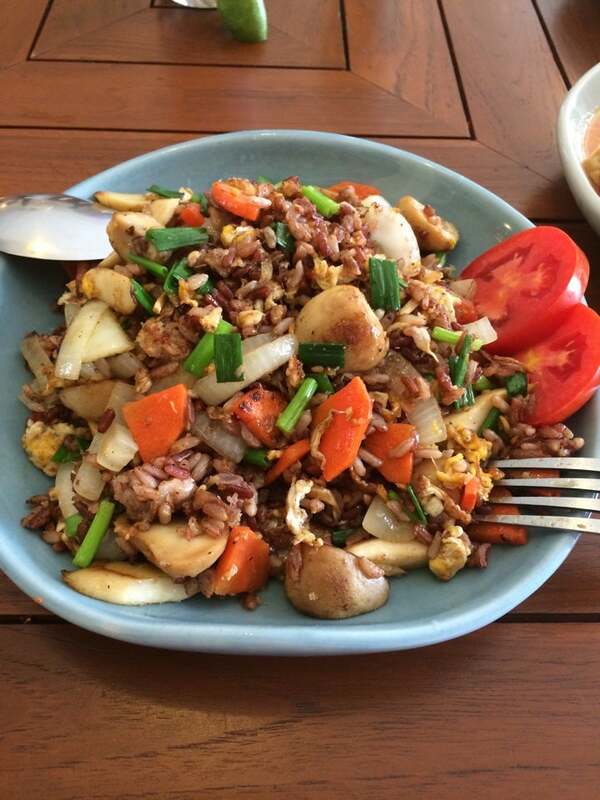 Anchan Vegetarian Restaurant is the place to go for those looking for clean and healthy food. 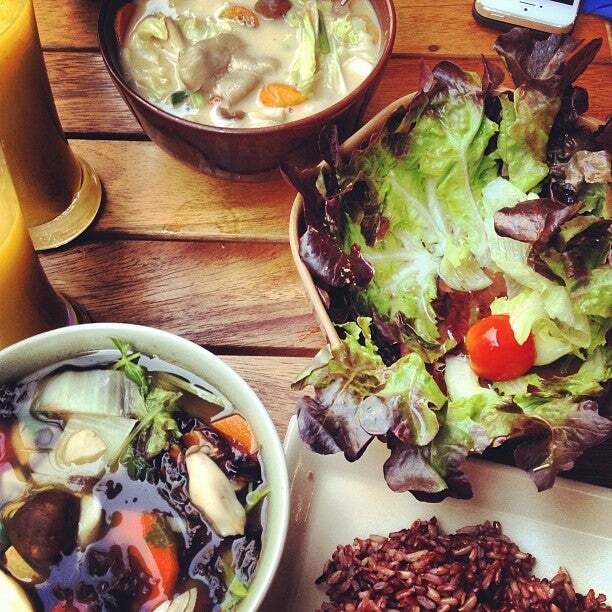 Anchan provides their guests with vegetarian meals so delicious you won't miss the meat. Why Anchan Vegetarian Restaurant is special ? Anchan Vegetarian Restaurant, on the 2nd floor off Nimmanhaeminda Road soi Hillside 2, opposite soi 13, is a natural ambiance was created for people who enjoy good and healthy food. Come and sample their vegetarian versions of many Thai classical dishes, as well as an ever changing market fresh suggestion menu. All products are sourced through reliable sources, organically certified where possible or come from ecologically sustainable and viable trade systems. We just ate here for lunch today. The menu looks great. It's not fully vegan but most items are. Unfortunate that the Pad Thai isn't vegan but you can ask for it that way. I had the Massaman curry and my husband had the Penang curry. Both were delicious in different ways. The Massaman was more sweet and had a wonderful paste that included peanuts. Both had coconut milk. The Penang was rich with strong flavors most notable the fresh basil. We had rice with our meal which was a lovely red/brown rice. The meals were not lacking flavor or salt. Yummy! I usually don't eat food with a lot of fat or salt but I make an exception when I'm on vacation cycling and walking a lot. This place is wonderful. Try it when you're in Chiang Mai!